We all get stuck in our habits and routines. Lunch at 12:30 even if you’re not hungry. Stay home on Sunday morning even though there’s a delicious bakery down the street. Buy the same brands, eat the same foods. When you always do something, the habit gets so ingrained that it becomes hard to imagine the other possibilities. If you always buy your granola, why would you consider making it? Store-bought pesto – easy! While these quick grabs can definitely be a time saver, there are some days when you have the time and it’s totally worth it (and even an improvement) to make your own. For some reason this past weekend I was inspired to try making what for me are usually store bought foods – pita bread and marinara sauce. 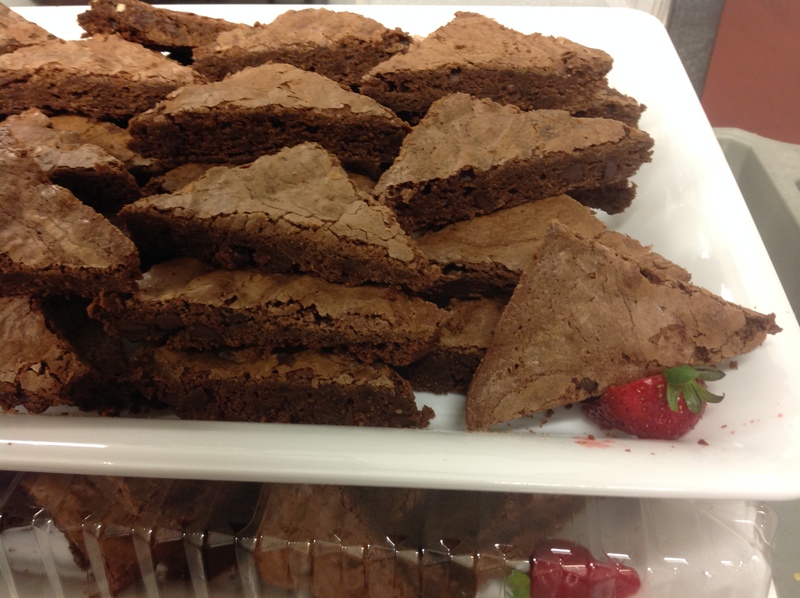 The results: delicious! Eating these foods again has greatly expanded my recipe possibilities, which is why I took on the homemade pita and marinara projects. Nothing can beat the smell and warmth of fresh bread from the oven and I figured warm pita would be no different. 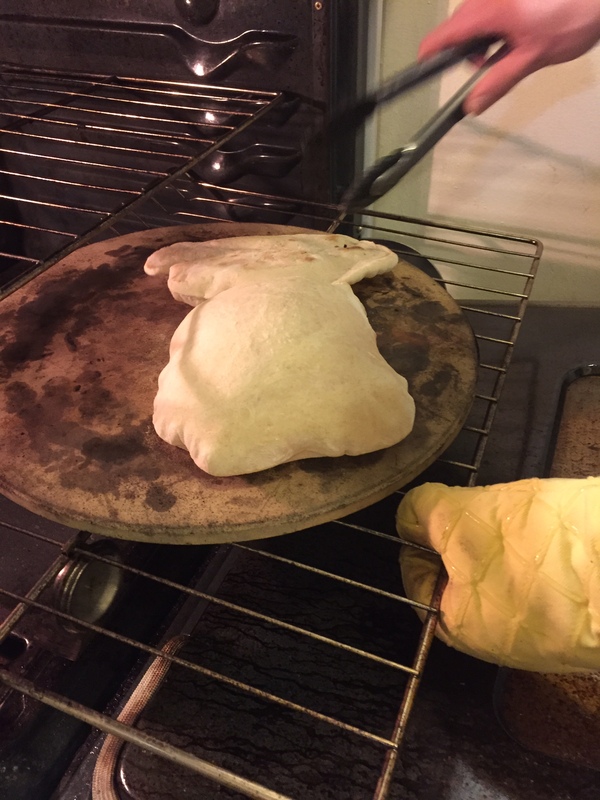 Having made homemade bread and pizza several times, I figured pita bread was totally do-able. 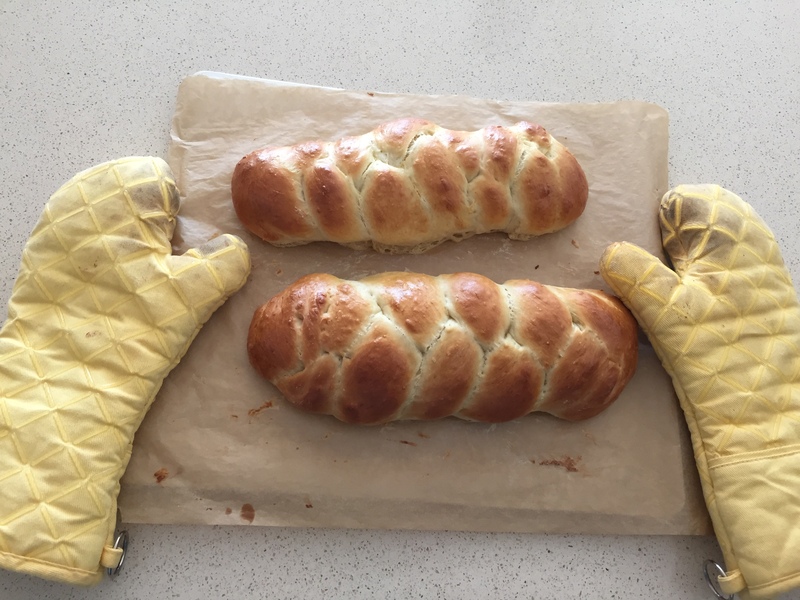 It takes a bit of babysitting to make, but is overall the quickest baking yeast bread that I know of – it bakes in less than 5 minutes. 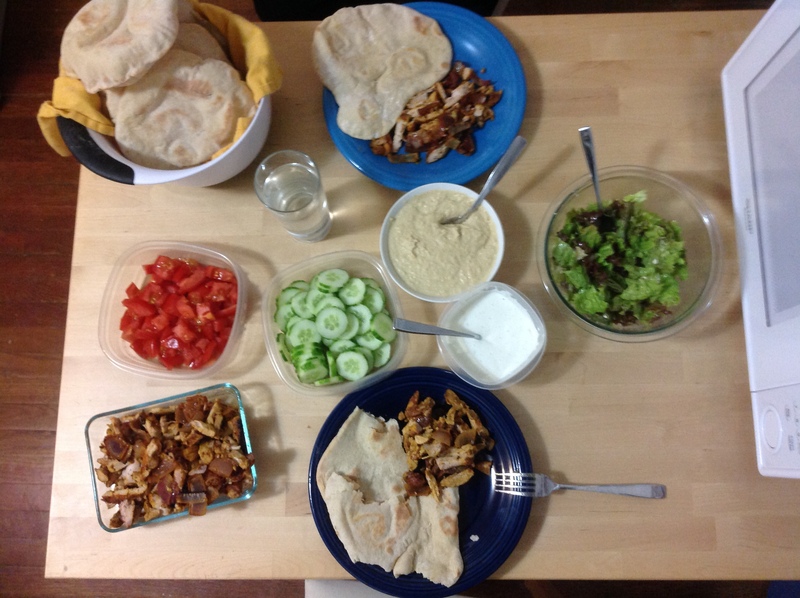 We served the pita bread with chicken shawarma, hummus, and veggies, using the pita as an edible utensil to scoop up all the yummy juices from the chicken. Dinner spread complete with homemade pita and hummus. As for marinara sauce, we always bought the jars of sauce when I was growing up. Prego, Ragu, Barilla – whatever brand we bought, marinara sauce seemed like one of those canned foods that saved time and wasn’t overly processed. It’s only recently having heard my co-workers talk about making sauce at home that I considered the possibility. 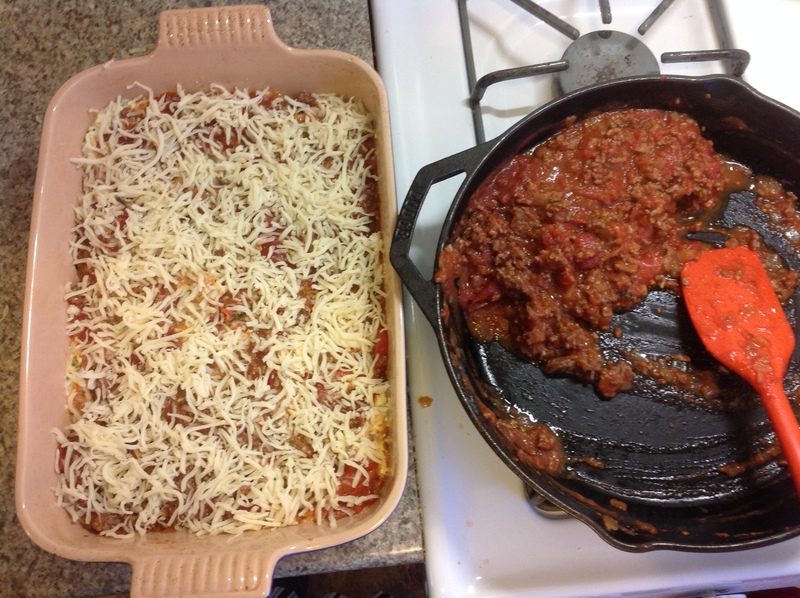 I looked up a recipe and was surprised how quick and relatively simple it sounded to make. Sure you start with canned tomatoes, (especially this time of year) but at least you’re simmering the sauce with the flavors and fresh herbs yourself. I’d say it’s a nice step up from buying jars of sauce and the flavor was wonderful. 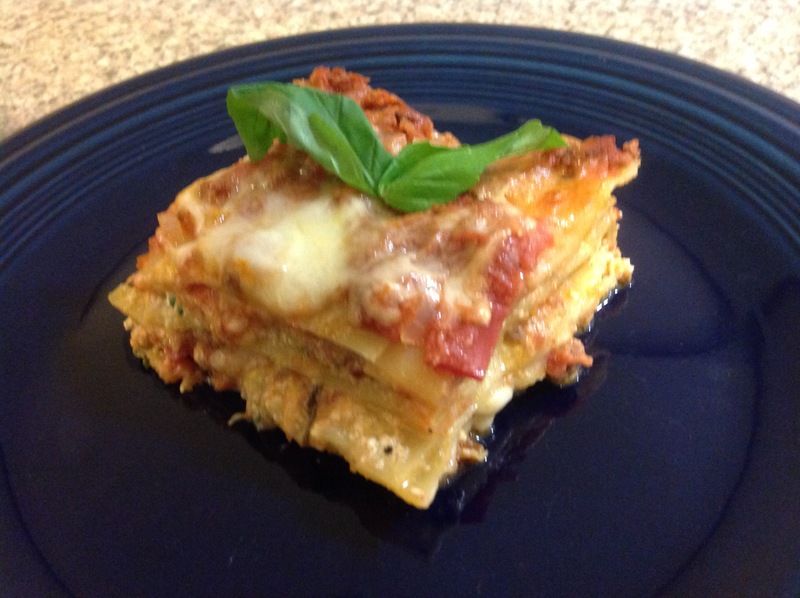 I layered my homemade sauce into a hearty lasagna and served it with a fresh green salad. I know how easy it is to just do what you’ve always done, but sometimes you’ll be surprised what a difference it makes to eat your own homemade food whether it’s bread, sauce, or even yogurt. When you have the time to experiment, take a look around and see what you might be able to make yourself. Take a step back and ask yourself, could I make that? Sometimes you just have to see with new eyes. There are a couple approaches you can take with your tomatoes here. For a chunky sauce, carefully quarter each tomato (being careful not to burst the juices into your face – trust me) and add to the sauce as instructed. 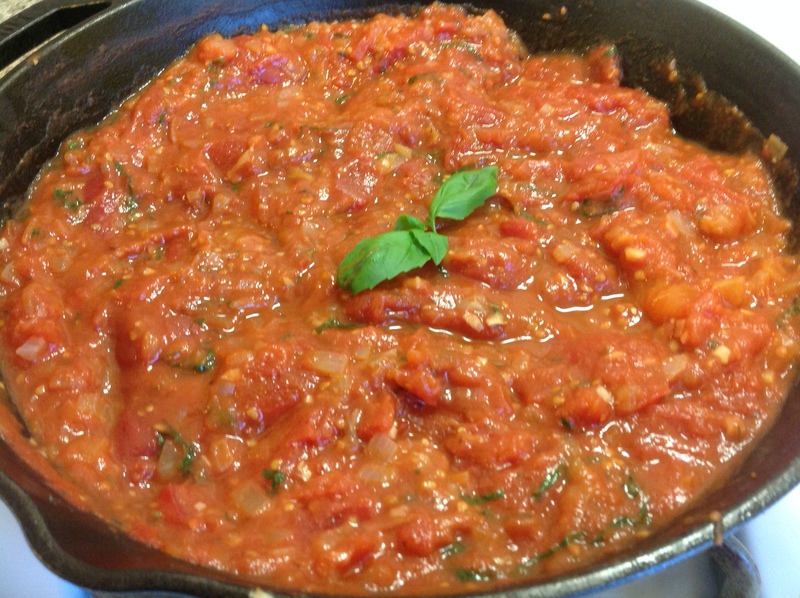 For a smoother sauce, pulse your tomatoes in a food processor before adding to your sauce. OR wait until your sauce is done simmering and carefully blend in a food processor or with an immersion blender. Either way I would recommend prepping your tomatoes at least by opening the cans before you get your onions going so that you don’t burn your garlic when the time comes to add the tomatoes. Whatever you do, the sauce will be great. To start your sauce, in a large skillet melt your butter over medium heat. Add your onion and saute for 5 minutes or until it begins to soften. 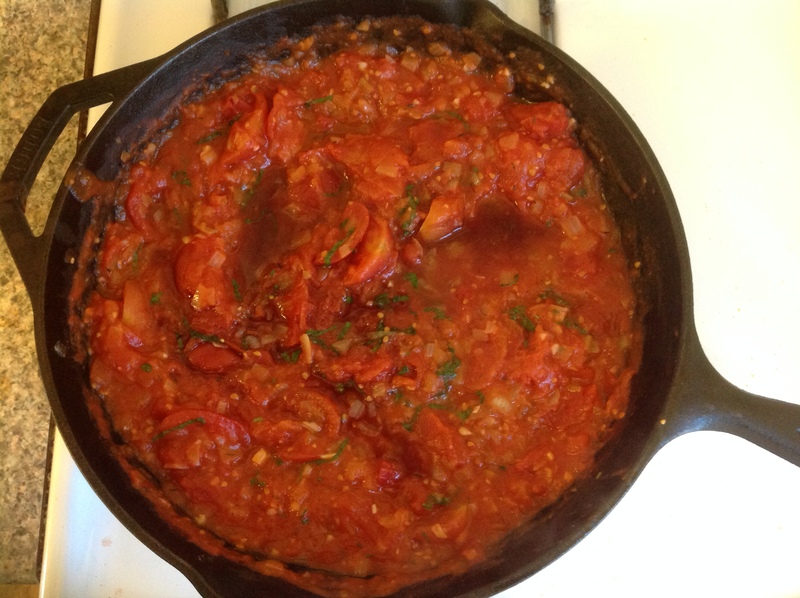 Stir in the garlic until fragrant, less than a minute and then add your tomatoes, juice and all. Add the tomato sauce, salt, bay leaf, oregano, and thyme. Save the fresh basil for the end. Bring to a simmer and turn down to a low simmer for 15-20 minutes, stirring every now and then. Remove the bay leaf and taste your sauce. Adjust flavors as needed – a pinch of sugar, more salt, some black pepper. Add your basil, stir to incorporate and remove from heat. Use for your favorite ravioli, lasagna, or even garlic bread. 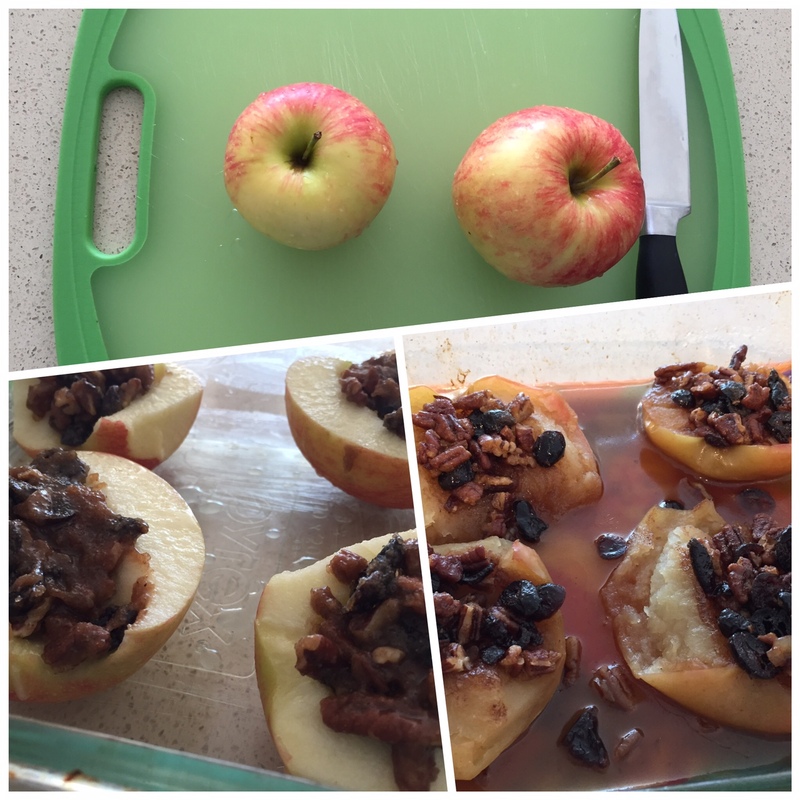 Post 92 – How About Them Apples! 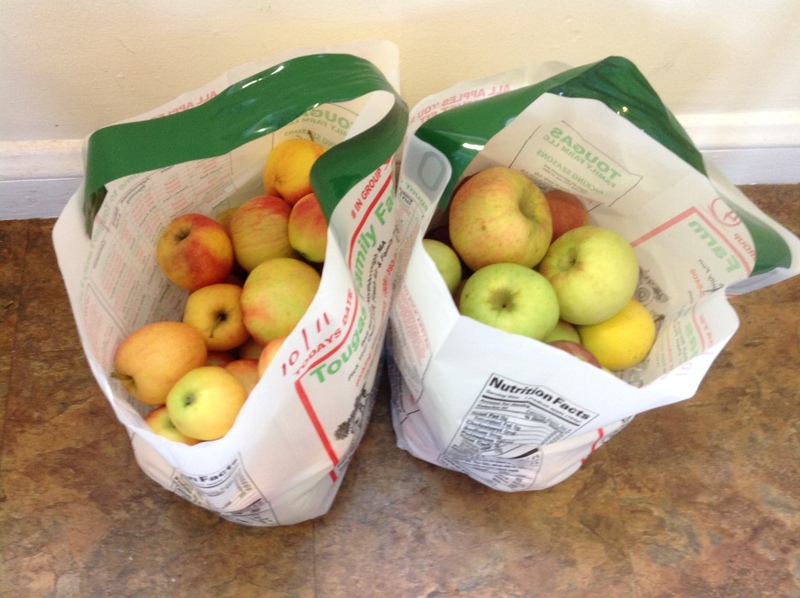 We took our annual apple picking trip Columbus Day weekend and we returned with 66 pounds of apples! 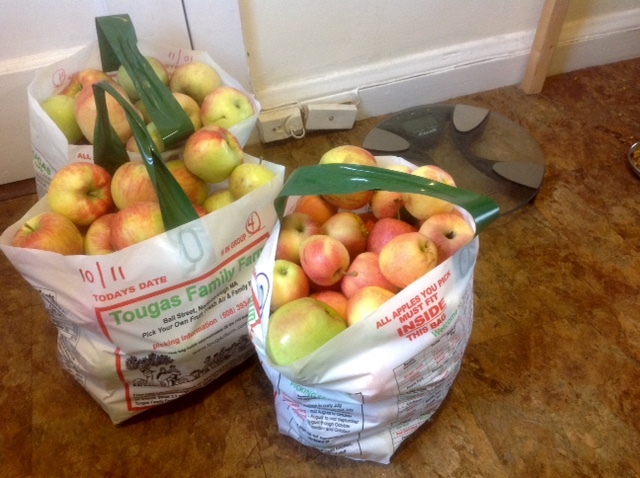 Our 66 pound stash included a full bag of just Honeycrisp (delicious! 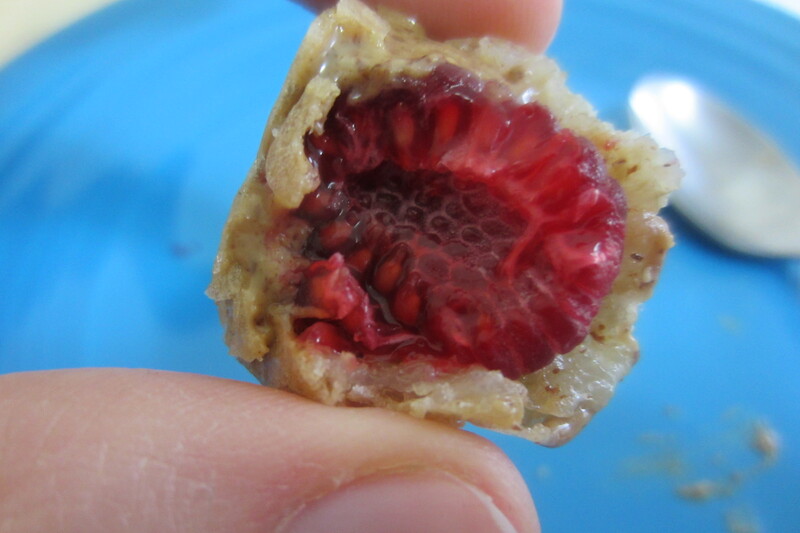 ), some baking apples like Cortland (pie!) and some tasty eating apples like Gala and Fuji. We had the pleasure of hosting my brother-in-law and sister-in-law for the weekend so they helped us pick more than our usual amount. On our way home from apple picking, we also made a stop at Walden Pond where we enjoyed snapping some silly panoramas with the scenic fall backdrop. 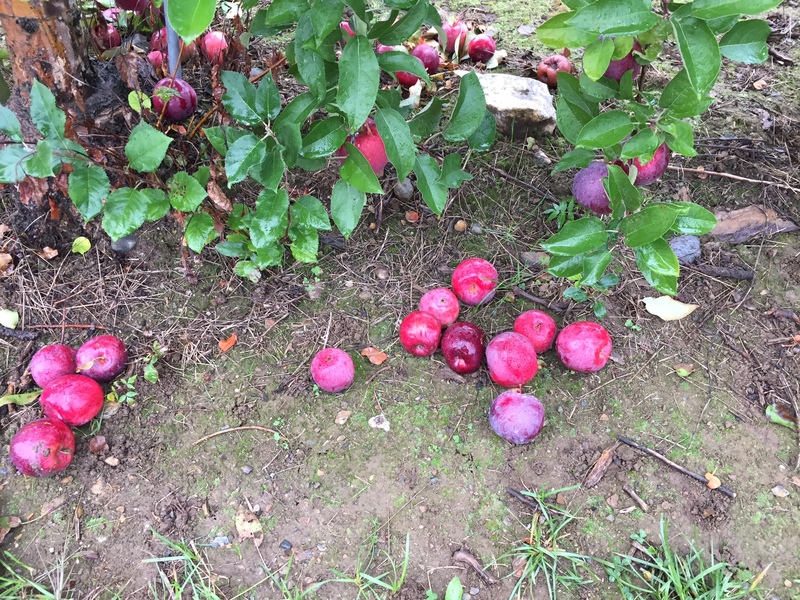 Despite the cold temperatures and constant drizzle of rain during our picking, it was a wonderful way to spend a chilly fall day. Sadly the weekend had to end at some point. We sent them home with as many apples as they could carry and promises to visit them in their new home in Luxembourg in the future. 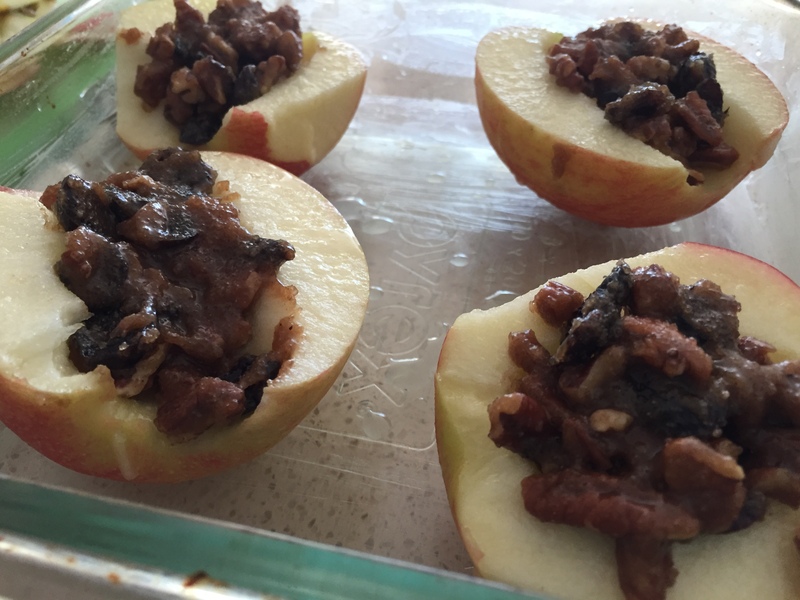 After a weekend of eating apples for breakfast, lunch, and dinner, pie baking, and making our famous meat-stuffed apples (as well as sending some back with my brother-in-law and sister-in-law), we were down to about 35 pounds! I made some applesauce this past weekend and our stash is down even lower! We’ll see how long it takes to finish these off. While making the applesauce I enjoyed an informal apple tasting, stealing a slice of different apples here and there, comparing the texture and sweetness and crunch. I have always marveled at the beautiful colors nature creates with real, good foods, but I am even more amazed that even just within the category of apples how many different colors they come in. 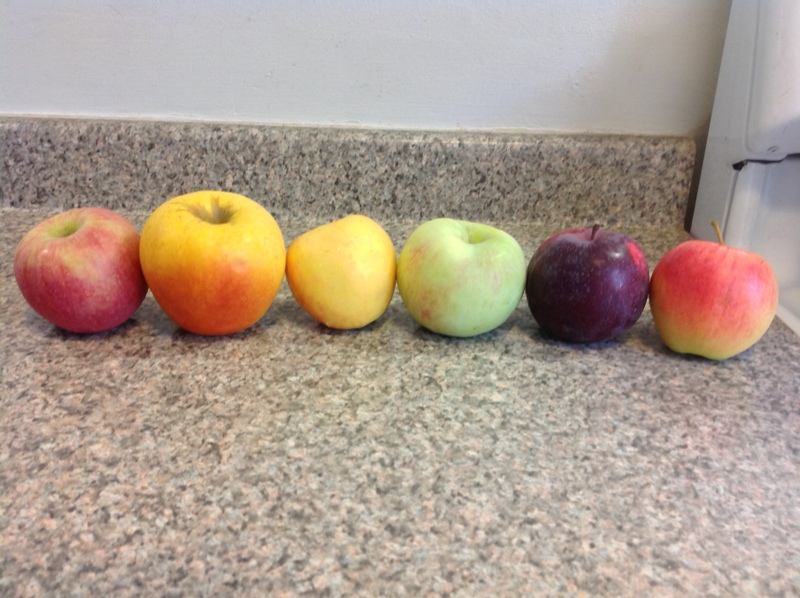 Check out this rainbow of apples! I hope you are enjoying the last few days of warmer temperatures and bouts of sunshine. The winter will be here before we know it. In my last post, I declared my intention to following a low FODMAP diet – no onions, garlic, stone fruits, avocados, wheat, lactose… the list goes on. I was determined to stick to this diet for the sake of feeling better and I was determined to share all of these creative and exciting recipes with you, but that hasn’t happened. 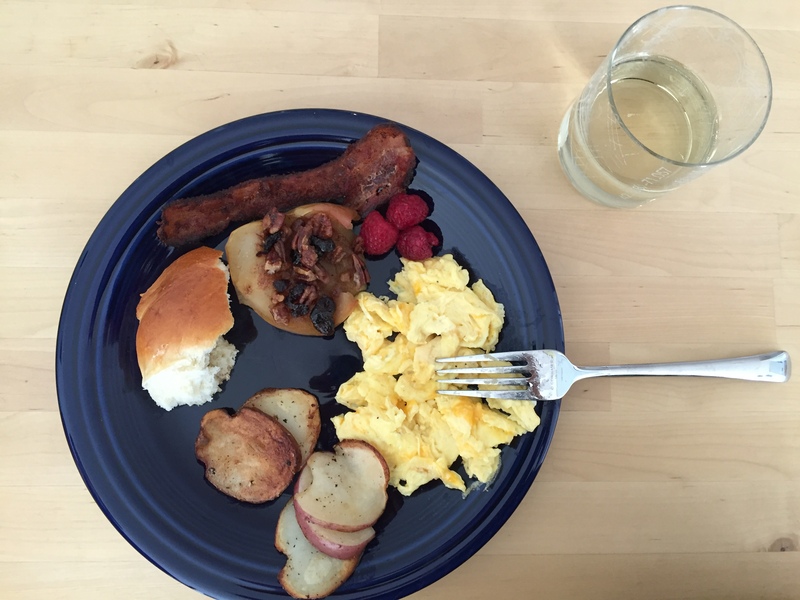 I have been eating low FODMAP (with a few moments of weakness here and there), but I have mostly been relying on resources for recipes from other people’s blogs so I have not been re-posting them here. Keeping meals simple (but still delicious) has been my focus, as well as eating slowly, deliberately, and smaller, more frequent meals. I am also continually reminded that nothing exists in isolation to the rest of the world. While certain foods may trigger my symptoms, there are other factors that play a role as well – stress, good relationships or lack of good relationships, satisfaction with life, and good or bad habits. Not everything can be improved with a quick change of diet and so I have begun to consider these other outside aspects as well in searching for ultimate health. I’m sorry that I haven’t shared exciting recipes or revelations, but I appreciate you sticking with me despite my challenges. 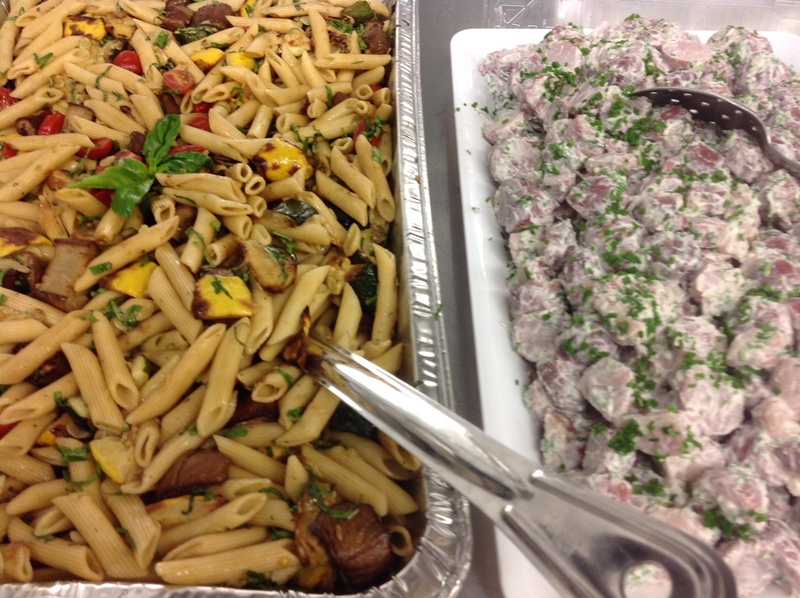 My signature pasta salad, potato and chive salad, summer fruit salad, roasted skirt steak with herb butter, and spinach, peach and feta salad with sweet onion dressing. 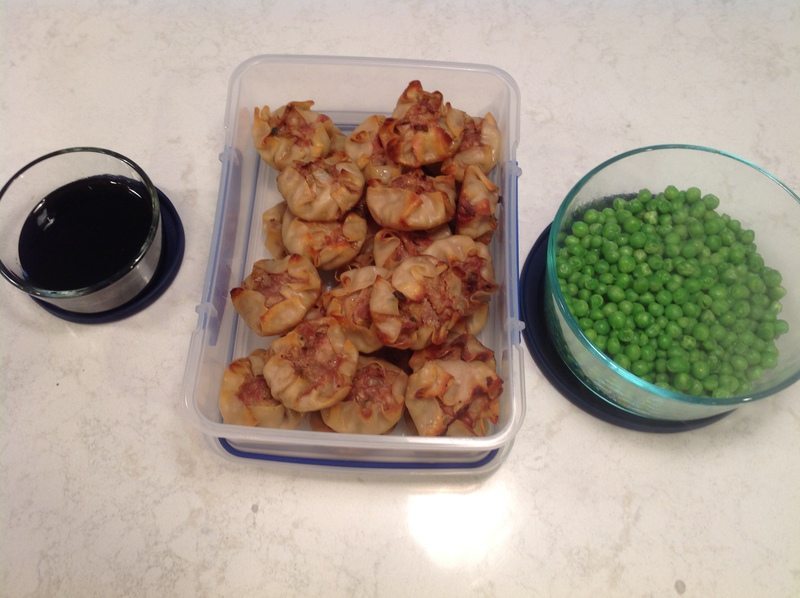 Baked pork potstickers – made in mini muffin pans for ease of cooking and fun eating for kids. They turned out great! 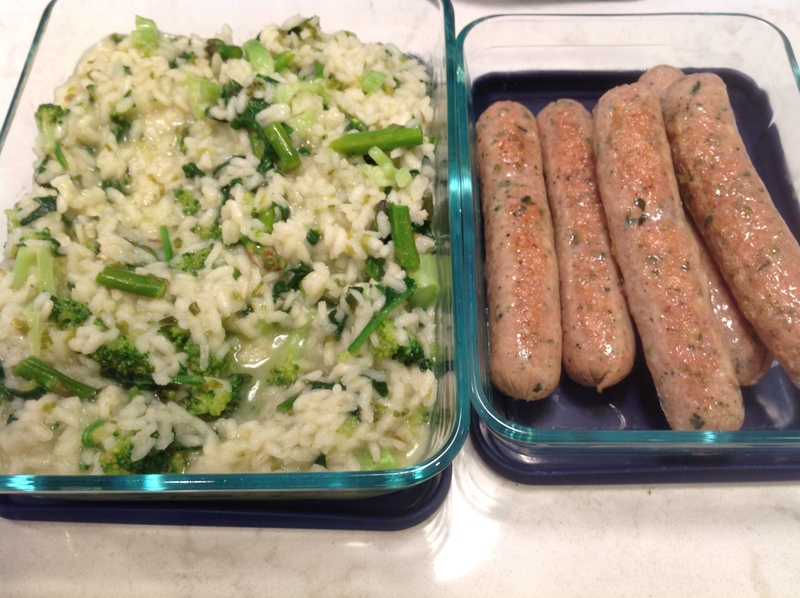 Green veggie risotto with chicken sausages. Yum! Unfortunately I think the picture I took is a little crooked, but I am happy with how it turned out! Have a wonderful weekend. Fall is coming! If I’m being completely honest, I haven’t been feeling as well as I could lately. I love to eat and always have, but my love for food has begun to take priority over my health. My discomfort has been mostly internal, which makes it easier to hide and easier to deny. I am the one to experience all of the symptoms and whether or not other people around me are affected depends mostly on my experience of the symptoms. Is it bad enough that I am complaining constantly and no fun to be around, or do I discreetly hide my discomfort with a weak smile? Having digestive distress is embarrassing and awkward to have to explain to people. No one likes to talk about bodily functions (and dysfunctions) and no one wants to hear about yours. 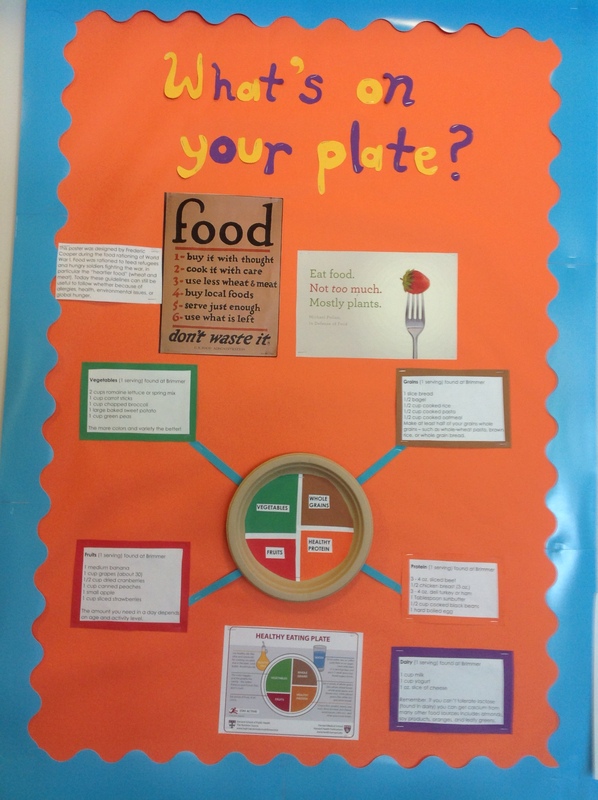 Yet if it affects your daily life, your social interactions, and your meals it is tough to avoid. Since the fall of 2012 I have struggled with what first manifested itself as acid reflux symptoms, which I initially dealt with through medication. I have since decided that this approach is not sustainable and healthy in the long term. After doing a lot of research and reflection I have realized that I must change my approach to food and eating in order to change the way I feel. Eating should be about balance as well as pleasure – nourishing your body and your spirit through the consumption of food, but also the company of others. When I am sad and alone I fill that sadness with food. When I am surrounded by those I love and I can appreciate the moment, food loses the center of attention. I can focus on being with people that are important to me while also savoring a meal. When I let my guard down, I convince myself that eating whatever I want (especially if everyone else is doing it) is okay despite the consequences that come later. Though I have tried several different remedies to alleviate my symptoms from medicine to eating gluten free to eliminating seemingly every category of good food, I still have not found the solution. One category of foods I have been reading about for the past several months is a group of poorly digested carbohydrates known as FODMAPs. These foods are found across nearly all food groups, except animal proteins – wheat, dairy, fruits, vegetables, sweeteners, and beans and can cause digestive distress in certain people. My next step is to try eating a low FODMAP diet to see if these foods are the problem in addition to focusing on portion, context (am I really hungry or does that food just look good? ), and stress. I am sharing all of this information with you because I want to feel better and I need your support. My love for food has caused me to prioritize the pleasure I get from eating over my health (and the discomfort that comes later). 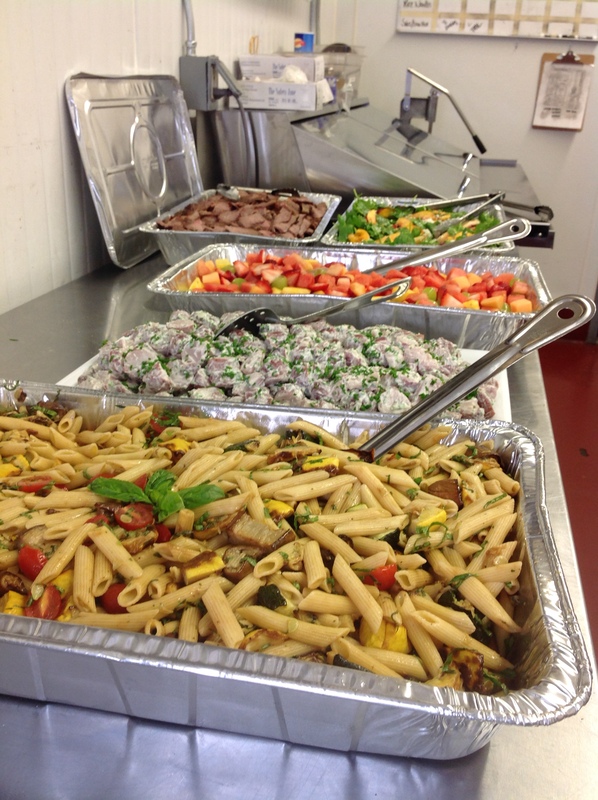 The weeks surrounding my wedding I enjoyed wonderful food, surroundings, and love from my family and friends. 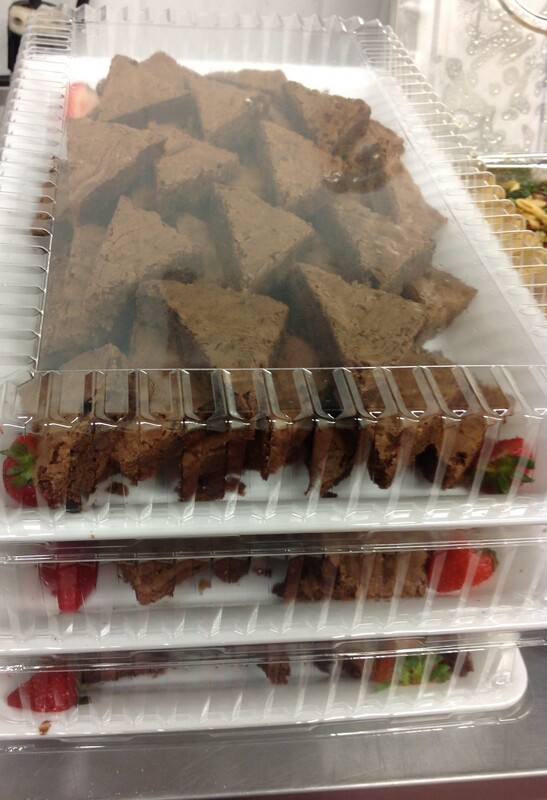 At the time I wanted to be able to fully enjoy those foods without restricting myself too much. Now the celebration has ended (though the happiness continues!) and I must recognize that prioritizing my health over my stubborn desire to eat whatever I want is a necessity. As I’m beginning to learn, my problems come from not only what I am eating, but also how much and how often. One of the toughest challenges is adapting a healthy lifestyle within American cultural standards as we are a nation constantly on the go and eating junk. If you struggle with food issues, I invite you to reflect on the emotions surrounding food in your life and what you can do to change them. This is your one life to live. Thank you for your support in this journey. 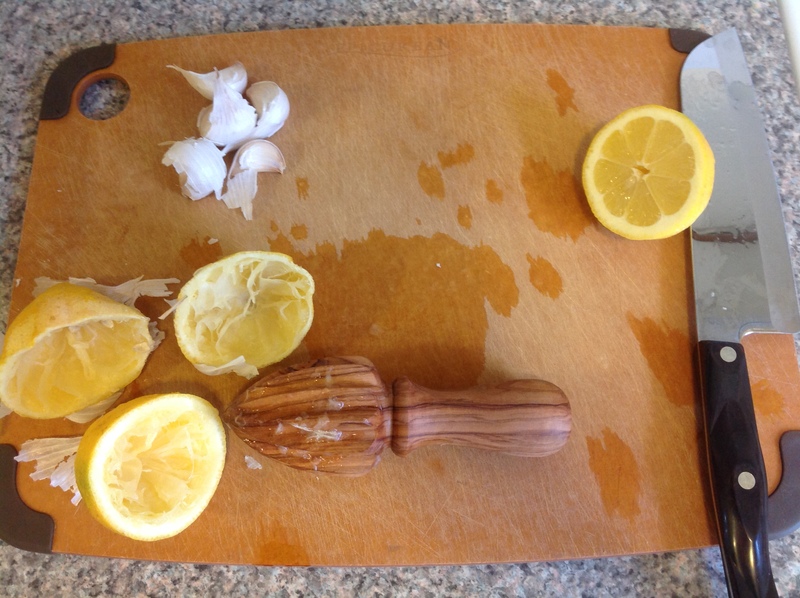 I look forward to sharing my low FODMAP recipes in the near future! 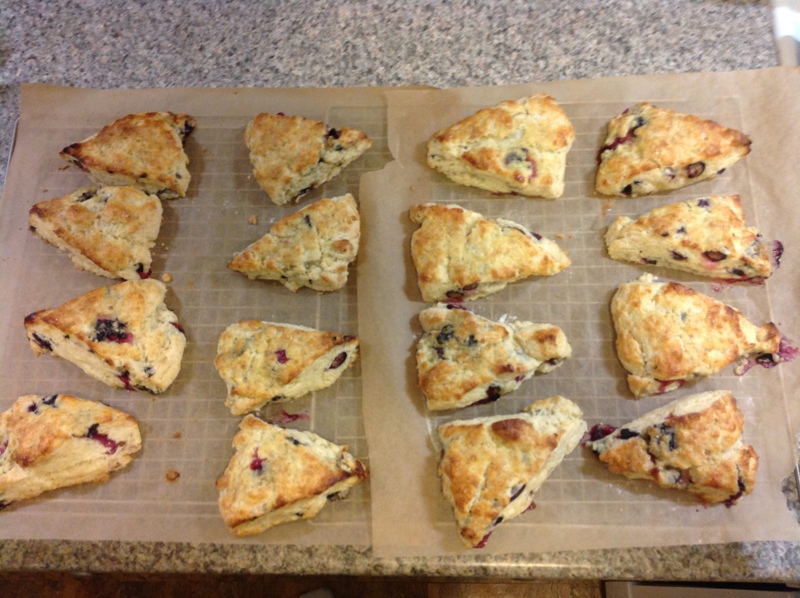 Post 81 – Recipe experimenting! 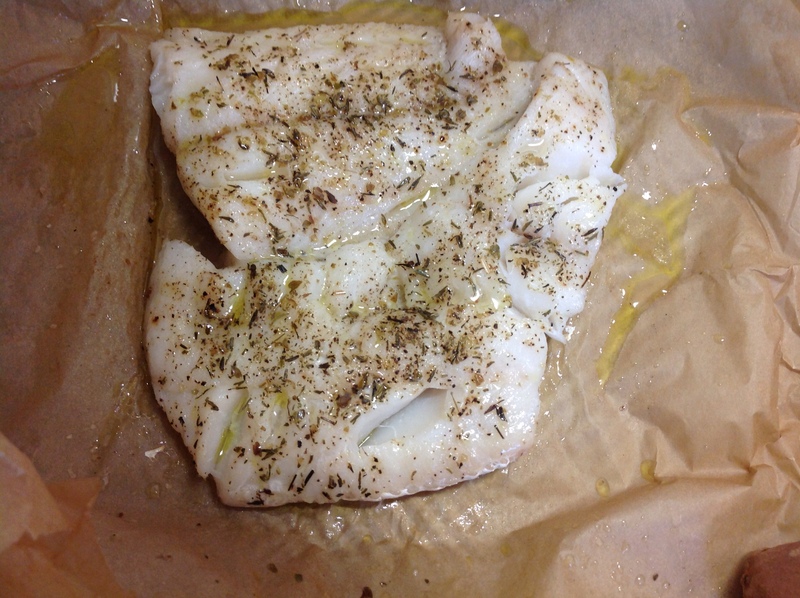 Inspired by the cod we enjoyed over the weekend while visiting my aunt at her new home in Connecticut, I decided to try my luck at poisson en papillote or fish baked in parchment paper. 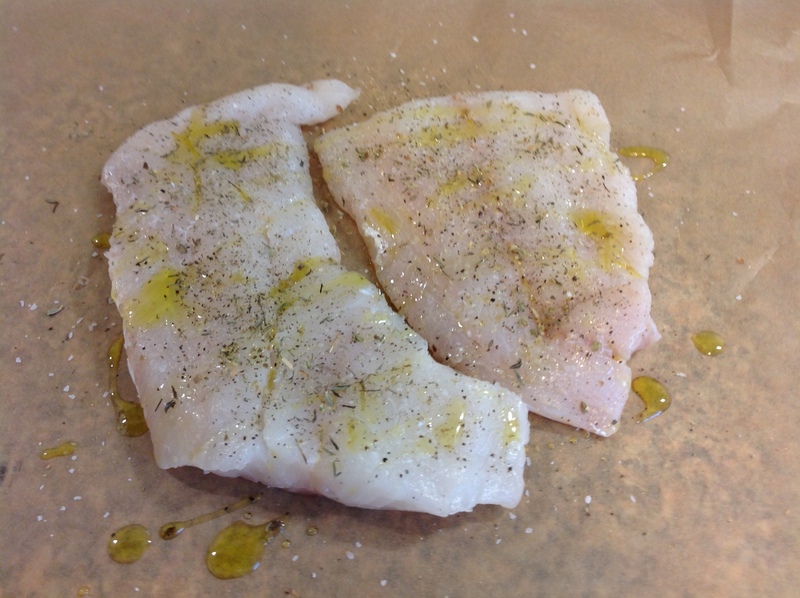 It keeps the fish moist and requires very little work and time. 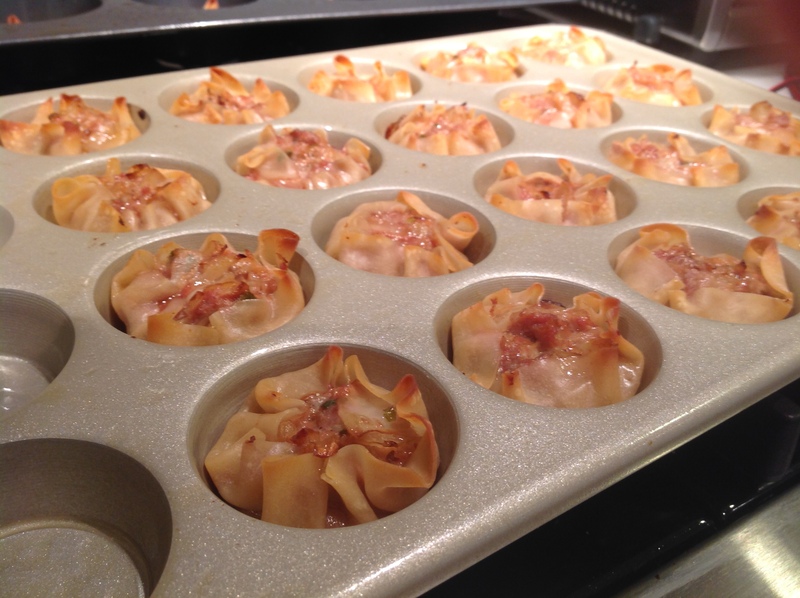 (make sure you put it on a sheet pan or in a baking dish). I recommend baking at 375 for 10-15 minutes (depending on the thickness) or until the fish feels slightly firm when you press it. If you can tolerate lemon, onions, and garlic these would be lovely additions. Since I had bought some summer squash, I also made a tasty squash “gratinee” based on this recipe. Usually gratinee is a dish baked with cheese that gets nice and browned and crispy and tasty, but since I can’t eat cheese right now I found an excellent substitute thanks to some recipe browsing: almond flour. Start by salting your squash. Slice the squash into even slices (about 1/4 inch thick) and place in a colander. 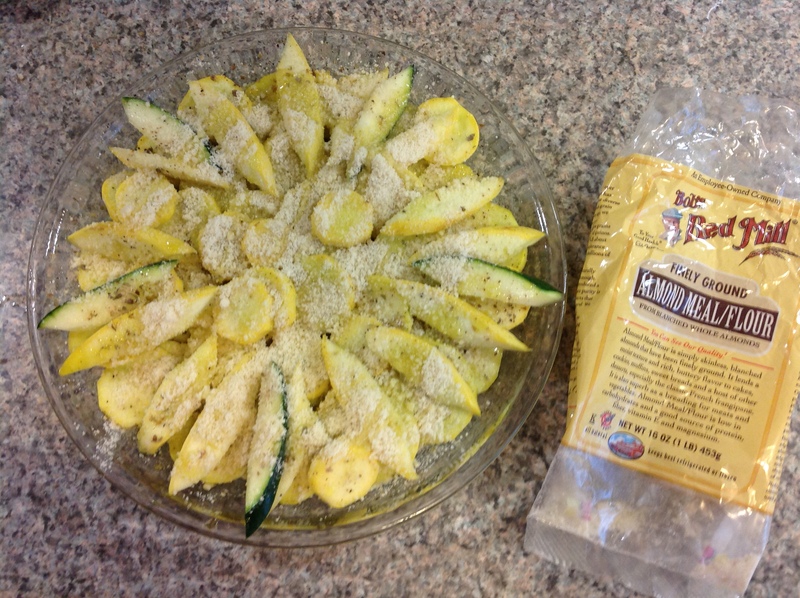 Toss with a fair amount of salt (about 1 tablespoon of Kosher salt for 3 medium squash) and let drain for at least 15 minutes. The salt will draw out the excess water in the squash so as not to water down your dish. 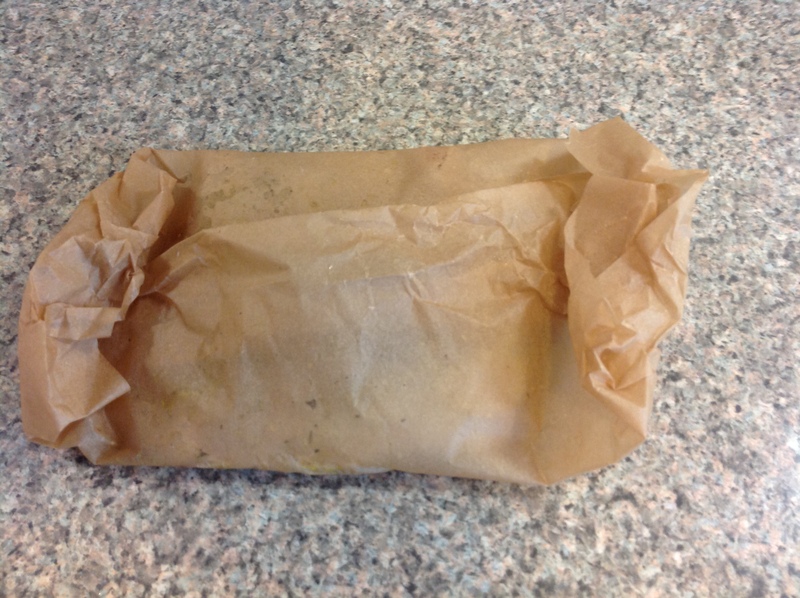 Shake excess water out and pat dry with a paper towel. Oil or spray your baking dish. I used a pie plate for mine. 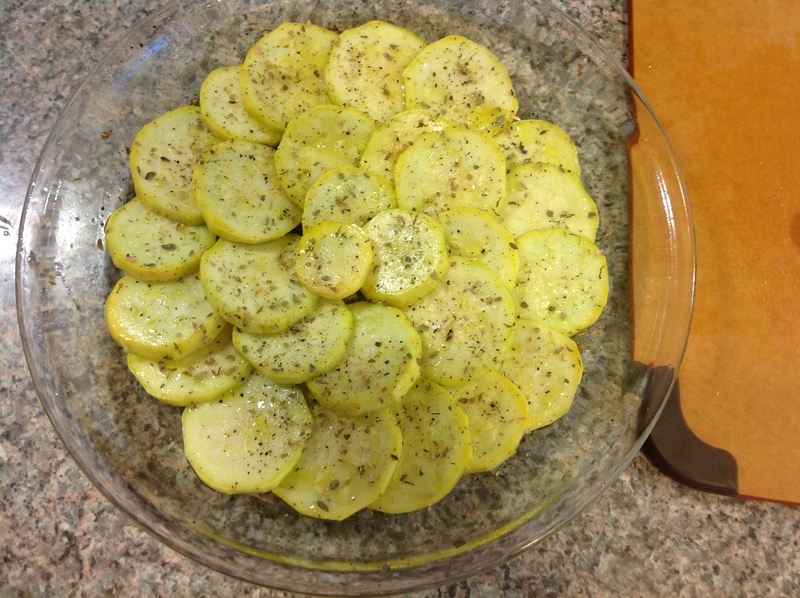 Place the squash in a pretty pattern, seasoning each layer with fresh ground black pepper, oregano, and a drizzle of olive oil. Sprinkle with a few tablespoons of almond meal (3-4) and lightly drizzle with olive oil OR spray with an oil spray. Bake at 400 for 35-45 minutes until desired doneness is reached and it is slightly browned. Let cool slightly and enjoy! The topping looks like cheese and even tastes slightly cheesy from the nuttiness of the almonds. I would definitely make this dish again. 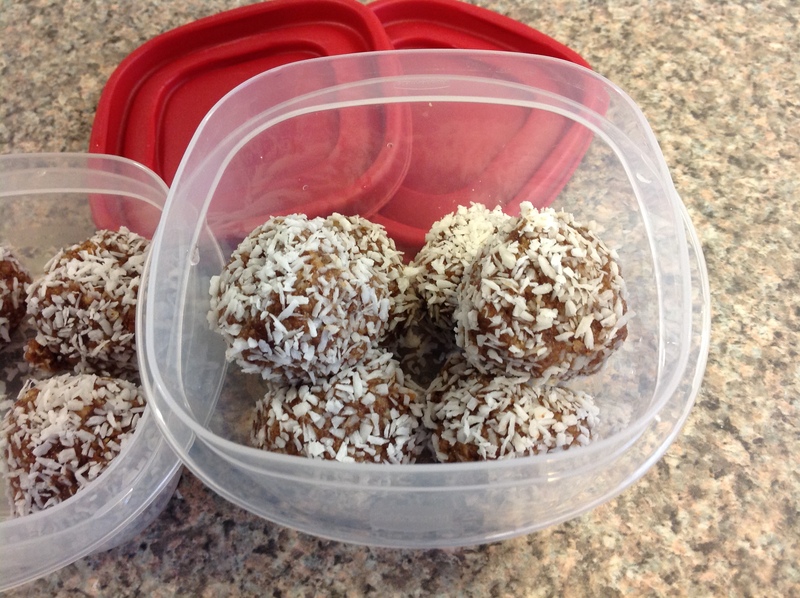 My final experiment was a recipe based on a comfort snack food my mom made growing up: peanut butter balls. She would mix an indiscriminate amount of peanut butter, oats, honey, powdered milk, raisins or chocolates until it became a dough like consistency with the right amount of sweetness and the right texture. Then she would form the dough into balls and we would eat them for a snack. Delicious! Since the ED eliminates peanut butter, oats, chocolate, milk, and raisins (I can have honey in small amounts) I had to come up with my own version using almond butter, cooked buckwheat, coconut, flax, and honey (mixed in unknown amounts to achieve the flavor and texture desired). 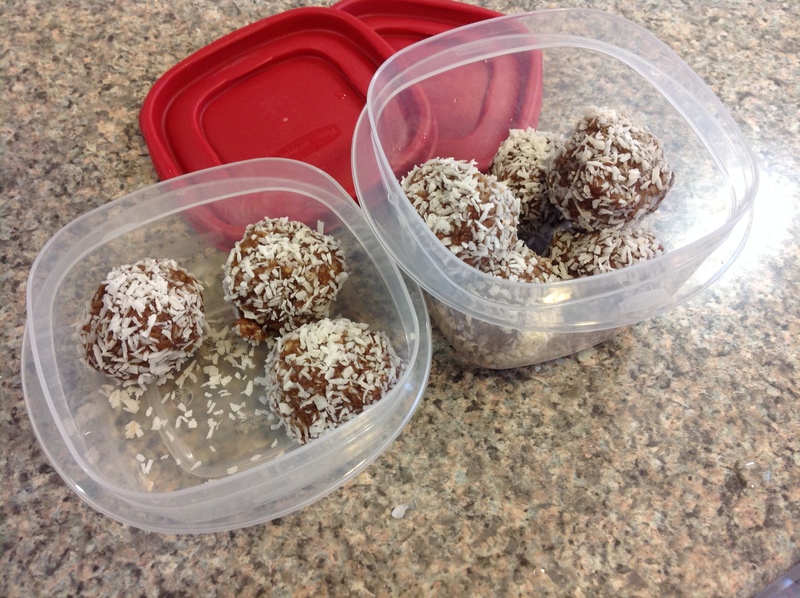 I rolled them in unsweetened coconut so they looked pretty. I’ll be taking these tasty buggers to my all day frisbee tournament tomorrow for a nice little treat! Here’s hoping it doesn’t rain. Happy weekend and hope you do some kitchen experiments! Sage advice tells us to be grateful for what we have and think not of what we lack (or something like that). Nonetheless no matter how hard we try, it is all too easy to be envious of others – of one person’s beauty, another’s wit, or someone else’s fancy house. In my case, the temptation lately has been to envy my neighbor’s plate and think of all the delicious foods that I cannot eat and that I have missed in these past 3 weeks. Yet in between brief periods of self-pity, one lesson that I have learned in these past three weeks is appreciation for all of the delicious flavors, colors, and foods that I still do get to enjoy. 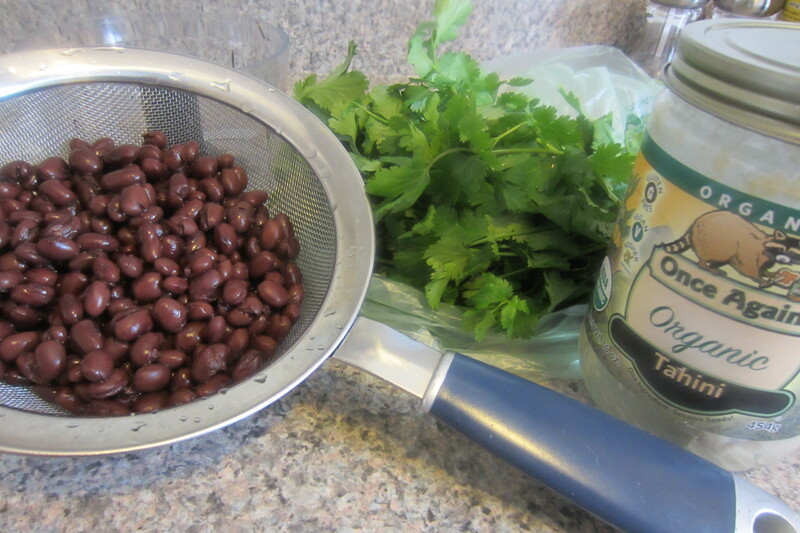 The makings of black bean hummus! Yum! 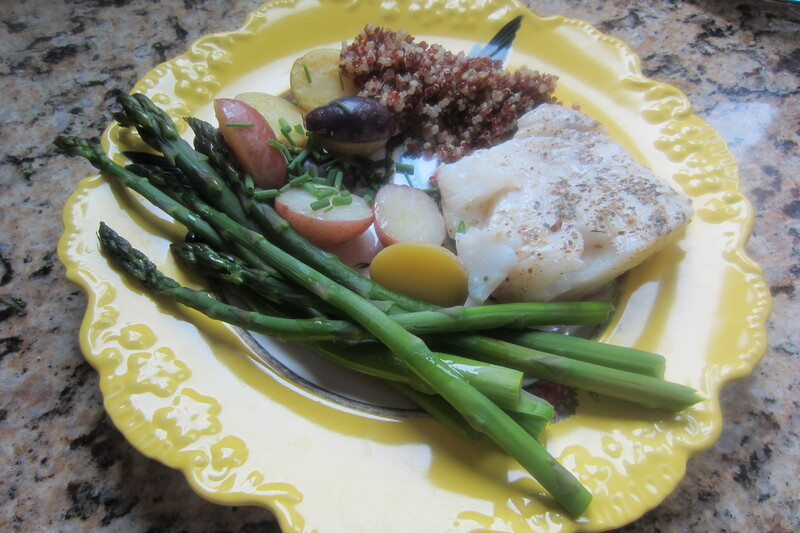 I am sharing photos of food that I have enjoyed in the past few days and weeks. Not only does it showcase the beauty of good foods, but it also helps me to recognize the diversity of the foods that I can eat. 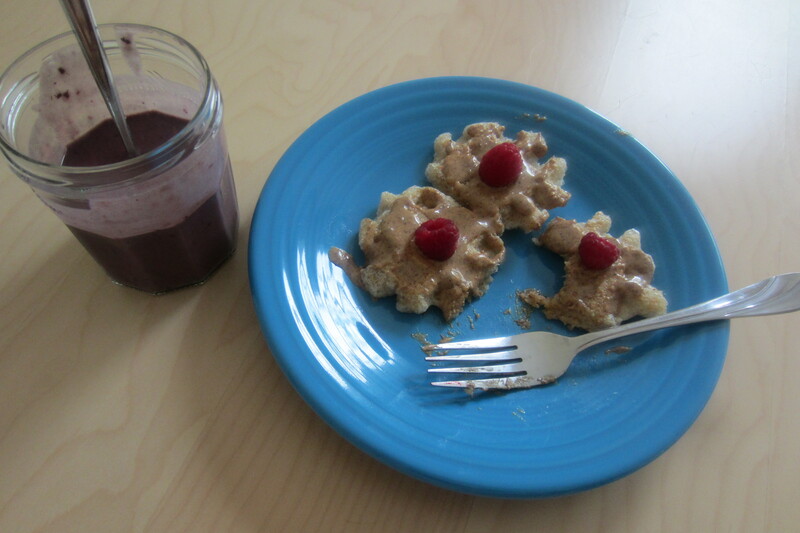 And these adorable mochi waffles with almond butter and raspberry and blackberry-mango smoothie on the side. While it has been challenging to consider every bite I take (am I actually hungry? is this something I am allowed to eat? will this make me feel bad later?) I have begun to appreciate my food more and I have stopped obsessing over it. In my quest to heal myself I have confirmed my interest in wanting to heal others through food and food issues. I hope that I can take what I’ve learned and share it with all of you in the near future. 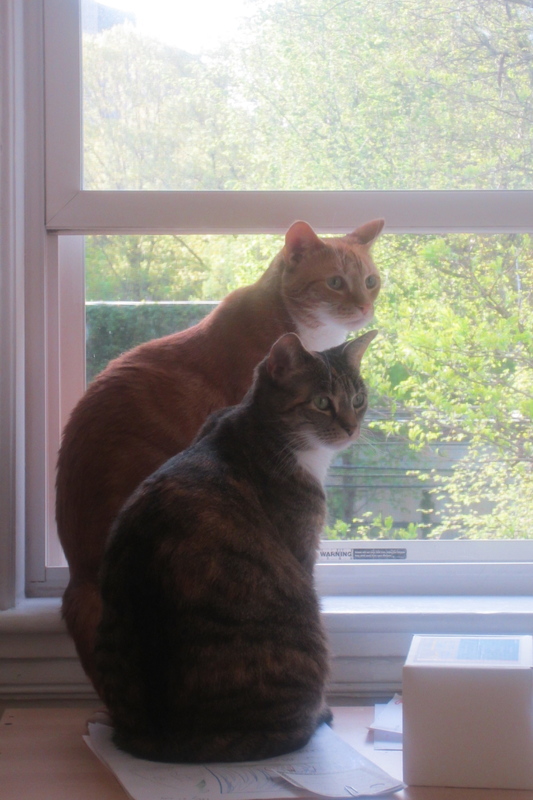 In other news – SPRING! I am grateful that the weather has warmed and the warm hues of greens (and pinks and purples and blues!) have returned to this scenic neighborhood. I can tell that the cats enjoy it too.